The jury’s still out about how many music producers will want to run desktop OSes on tablets. But here’s one thing that’s not in doubt: alongside dedicated mobile OSes like Android and iOS, you can expect to see tablets in 2011 that do the things your laptop does now. They’ll have standard ports (like USB), they’ll run full-blown desktop OSes (Linux and Windows), and you’ll be able to run traditional software on them. Don’t get me wrong: I think dedicated software design for tablets is a good thing, and the iPad isn’t going anywhere. But the imminent availability of Windows and Linux tablets – different animals from the iPad – ought to send a strong message to “desktop” developers to test their software and user interface design on these new devices. And yes, all of this means you’ll have a slim, tablet-sized machine that can run Pro Tools. Thanks to the fact that Pro Tools now works with standard Windows audio interfaces and not just Avid and M-Audio gear, it’s possible to ship a tablet that runs Pro Tools. Trinity Audio Group tell CDM they’re doing just that. Boom running on the Indamixx tablet, via Windows. Trinity Audio Group tells us running a selected set of tracks with plug-ins is well within the capabilities of the CULV processor. The architecture of this tablet does greatly exceed that available on tablets like the iPad, or Atom-powered solutions. The machine is not powered by an Atom processor; instead, it uses a low-voltage CULV SU3500 processor, which in turn is based on Intel Core 2 architectures. (The 3500 is a 1.4G Core Solo processor.) Trinity is pre-installing Pro Tools 9 with an iLok key so you can run out of the box. Performance certainly won’t be stellar, but it’s good enough for some applications. Trinity tells CDM they got 8 stereo tracks (16 total) with 2-6 plugins on 2GB RAM; the finished system they say will be tuned for better performance, and will ship with twice the RAM. The price, unfortunately, puts the tablet alongside high-end laptops, at US$1799. The Indamixx tablet is an interesting proof of concept, but it faces tough competition. There’s nothing stopping you from watching the marketplace in 2011 to find a tablet you like and installing it yourself, and I would hope some of those machines will ship with beefier processors. (Knowing readers of this site, that may hold more appeal, too, with options from Ableton Live to Reaper to SONAR, none requiring an iLok.) And while you don’t get a touchscreen, the MacBook Air is still fairly light and portable, significantly faster, and costs a fraction of the price – and it runs Mac OS in place of Windows, which will be a draw for at least some consumers. Of course, the same sort of compromises existed when laptops first arrived on the scene, then blurred over time. I think there’s something to all of this. It’s not hard to imagine an artist taking a quick set of bounced tracks, still in a Pro Tools session, from a hefty studio machine onto a tablet and heading to a coffee shop or nearby sofa to listen and get a different perspective. 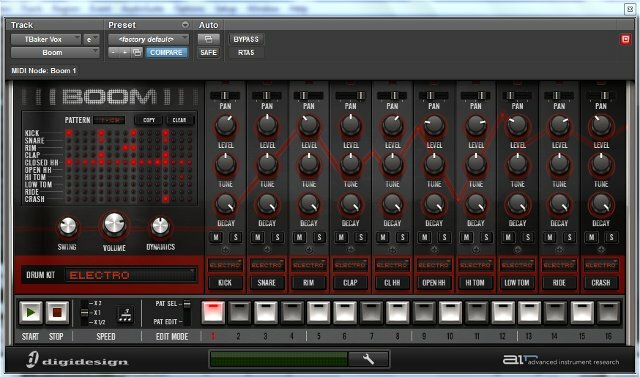 I don’t know whether the Indamixx tablet will be that tablet, necessarily, but there’s a trend here, and its architecture really is fast enough that it’ll work for quick mixing sessions or even live performance. And if I were a developer, I’d be budgeting for a couple of tablets to test my software and see how well it holds up to touch input. I fully expect the mention in this story of Windows, Pro Tools, and iPads will evoke some sort of flame war in comments, but I’m completely uninterested, so I’m going to move onto other stories and make some music sketches and let y’all hash that out. 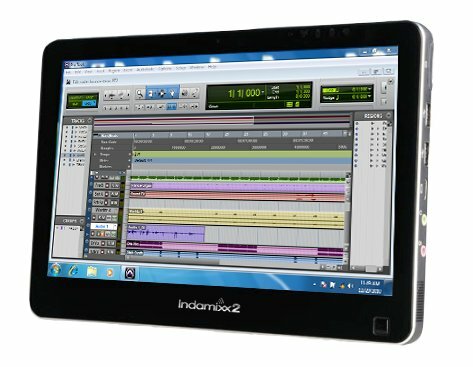 You can also see the Pro Tools-running tablet in person at the NAMM trade show in Anaheim, CA next month, booth 6799. See our previous coverage of the Linux-powered, more inexpensive sibling, available now in beta.